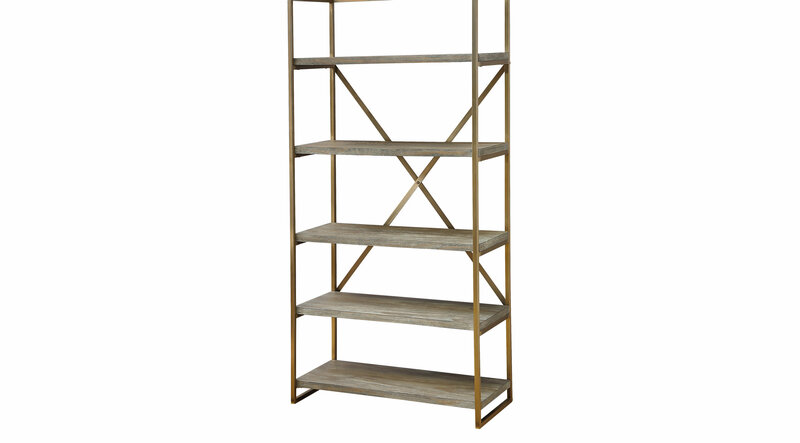 With rustic and industrial details, our Rustic Goldie bookcase works well with most every decor. The aged biscayne weathered finish gives a vintage quality to the five thick wood shelves, contrasting nicely with the squared tubular metal framing. In your den, kitchen or home office, this bookcase is an ideal place to display your favorite books, baskets and photos.